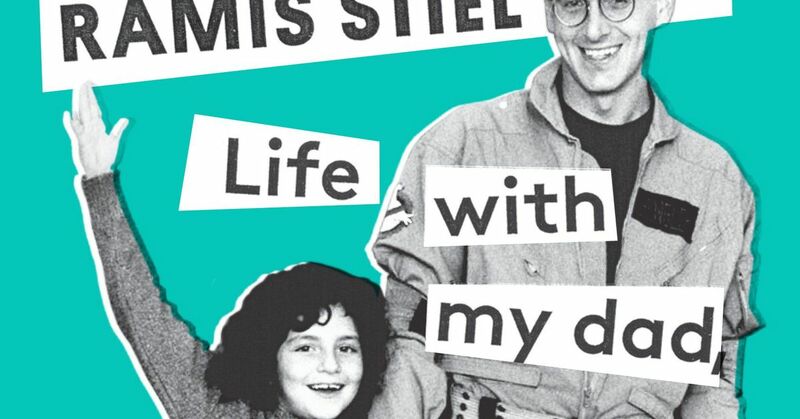 The heartwarming Harold Ramis biography from daughter Violet Ramis Stiel is a must read. From the daughter of comedy legend Harold Ramis (and featuring a Foreword by Seth Rogen) comes a hilarious and heartwarming account of his life, work, and legacy. Most of us know Harold Ramis as the writer, director, and actor who brought warmth and humor to the big screen in classics like Animal House, Caddyshack, Ghostbusters, National Lampoon's Vacation, and Groundhog Day. To his daughter, Violet, he was best known as an amazing father, confidant, and friend. In Ghostbuster's Daughter, Violet reflects on the life and legacy of her father, providing readers with an extraordinarily candid and insightful look into the man who helped shape modern American comedy. Funny, endearing, and vulnerable, Ghostbuster's Daughter takes readers into the private life of the American comedy icon, from his humble roots in Chicago and ascension into Hollywood stardom to his personal philosophies on life, love, and filmmaking. While the book offers a comprehensive history of her father's career, Ghostbuster's Daughter also provides a profound homage to their special father-daughter relationship. Violet weaves anecdotes about her father's unique and devoted parenting style among stories of her own unconventional upbringing, creating a vivid and dynamic portrait of the man behind the movies. A distinctly offbeat memoir as well as a charming family story for the ages, Ghostbuster's Daughter is an intimate look at one of America's preeminent comedy filmmakers.